Located on China’s south coast between the Pearl River Delta and the South China Sea, Hong Kong (or simply H.K) is a Specialised Administrative Region (SAR) of China but has a mix of Western and Asian cultures, enjoys great autonomy and has its own currency (Hong Kong Dollar) as well as legal system. With a land mass estimated around 1,104 square kilometres (426 sq. mi) and population of over 7 million nationalities; the former colony of Britain is one of the most visited destinations in the world, and millions of people visit its shores annually on business or leisure. 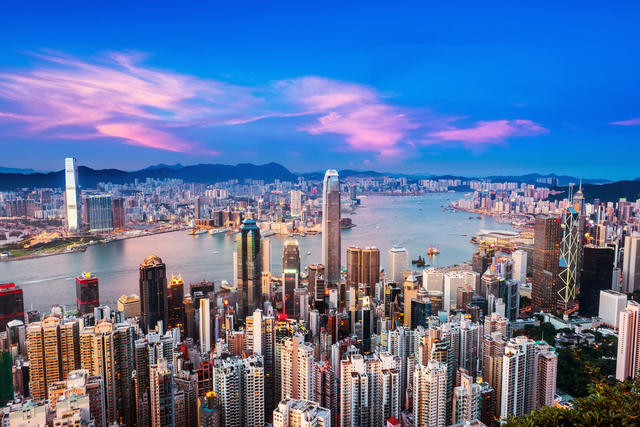 Nicknamed the “Pearl of the Orient”, Hong Kong has one of the highest per capita incomes in the world and is one of the most significant global financial centres. The territory is renowned for its towering skyline and boasts the second largest number of high rises of any city in the world. Hong Kong is the Cantonese word for ‘fragrance harbour’ or ‘Incense harbour’. It ranks as the world’s fourth most densely populated sovereign state or territory. Hong Kong covers the Hong Kong Island, Lantau Island, the Kowloon Peninsula and the New Territories, including 262 outlying islands. Less than 25% of the Hong Kong Island is urbanized and 40% is reserved for parks and recreation while the rest is virgin forests. Between Hong Kong Island and the Kowloon Peninsula lies Victoria Harbour, one of the world’s most renowned deep-water harbours. The main languages (official) spoken are Chinese (mainly Cantonese) and Modern English. As of 2010, the Hong Kong dollar is the eighth most traded currency in the world. Hong Kong plays host to one of the Disneyland’s located around the world. HK has more skyscrapers than any other city in the world. A skyscraper is any building with more than 14 storeys. It has twice as many as its nearest rival – the New York City. Hong Kong is one of the richest cities in the world. It has more Rolls Royce’s per person than any other city in the world. The Hong Kong International Airport (HKIA) is one of the world’s top 10 busiest international airports. In 2015, HKIA handled 68.5 million passengers, making it the 8th busiest airport worldwide by passenger traffic. The Tsing Ma Bridge is a Hong Kong landmark. It is the longest suspension bridge in the world for rail and road traffic and currently on the top 10 list of the world’s ninth-longest span suspension bridge. Hong Kong is one of the least car dependent cities. 90 percent of all trips in Hong Kong are taken on public transport. That is over 6 million passengers daily. There is a 2,600-foot covered escalator in Hong Kong that helps people commute up and down the large hills in the city. Vehicles are driven on the left side of the road, unlike China’s vehicles, which are driven on the right side. The Ngong Ping 360 is a 25 minute cable ride covering a distance of 3.5 miles. It is one of the longest bi-cable aerial rides in Asia and offers stunning panoramic views of Hong Kong. As of 2014, Life expectancy in Hong Kong is 81.2 years for males and 86.9 years for females, making it the highest life expectancy in the world. Hong Kong is home to Professor Charles Kao, the man widely regarded as the “Father of Fiber Optic Communications.” HE won the Nobel Prize in physics in 2009. Eating noodles on one’s birthday is considered by the residents to afford one a long and blessed life. Tagged china, hong kong, Macau, Travel, travel facts. Bookmark the permalink. Thanks, i always wanted to travel to Hong Kong. Yes, English is spoken by a large number of the population.